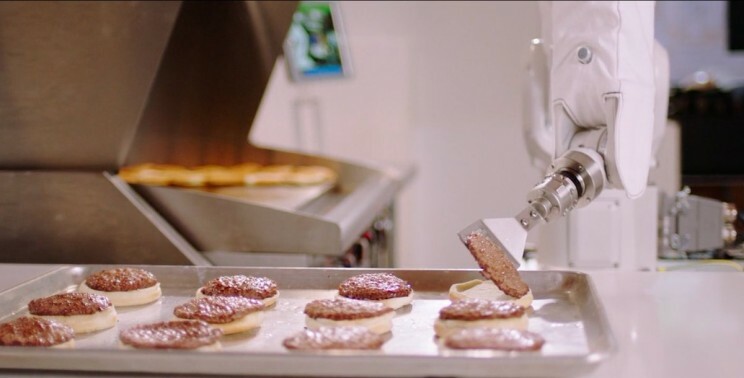 Is it not fascinating that the robots are preparing burgers. Yes, you heard it right. Creator, a restaurant and a culinary robotics company based in San Francisco have done it. They are offering the world’s first robot made burgers and you will have to pay only $6. Vardakostas have done a remarkable job in preparing the most advanced robots that can prepare burgers. Previously he working on his family restaurant flipping the burgers. He spent years in the physics and engineering lab and has come up with an idea to introduce robots in the restaurant. The newly-made automatic machine will ease the pressure on the people those who work for the restaurant. The robots will serve people during the busy hours of the restaurant. They will be on the floor, taking orders and serving drinks and burgers as well. The robots are not designed to take away the human jobs but rather designed to minimize tasks which are repetitive. You know it is quite hectic to stand over smoky grills for long hours. Also, the electric griddles that cook are burgers are kept enclosed. Creator-made robots will do the job for you with filters applied to keep the air clean and tidy. Chefs and the cooks at the back will prepare the fries, salads and all other items. Chefs also prepare the sauces. The robots are not capable to prepare the foods on their own, the chefs prepare the food staffs that later go into the machine. So, robots are not fully replacing the machine and are just a part of the restaurant. Creator develops a giant 14-foot all-in-one burger machine. Robots use around 350 sensors and 20 computers to prepare the whole thing. Definitely, a chef needs a couple of minutes to prepare the burger but this robot can make the same burger in lesser time. At first, the unsliced burgers are put into the tubes one by one and the buns are sliced. Once the buns are toasted, they are put to the custom-designed containers. After that, sauces are added to the toasted buns. Lastly, the toppings are added along with freshly grated cheese. Robots complete the procedures step by step. Can you imagine how many burgers can the robots make within an hour? 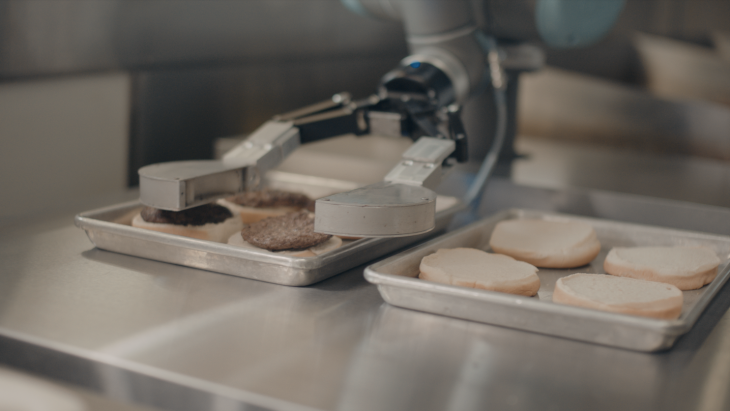 Creators can make 130 burgers within an hour with the help of these robots. Creators have gone extra miles to decorate the entire restaurant as well. They’ve created a glass display case for the machines, so you do not have to imagine the food coming to you. You can see how the burgers are prepared. That’s pretty much about the robot made burgers. You must get into the Creator restaurant to grab a bite of these delicious burgers.